Or you could visit Thap Ba ponaga, Long Son pagoda. It is away about 2 km from apartment. 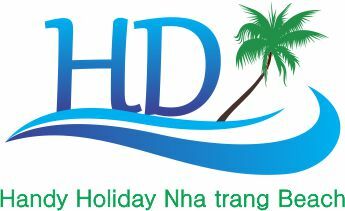 Tourist in Viet Nam, special tourist in nha trang very like goes there. Usually foreign tourist in Vietnam like discovers history: Thap Ba ponaga, Long Son pagoda, Hon chong rock...It is natural beauty. You could enjoy exercise gym and swimming pools Hotel, the price of ticket is 50.000 vnd (0.4 USD). Breakfast is buffet style at Hotel the cost is 250.000 vnd (12 usd/pax). It takes 5 minutes by taxi to store or you could walk around. There are many restaurants which have breakfast is very cheap with price is 50.000 vnd/ pax /menu at Biet thu street. It's on the right way and the distance is about 50m such as the costa, 30 Tran Phu Street….